so, i hope they aren't on the same side of the door. 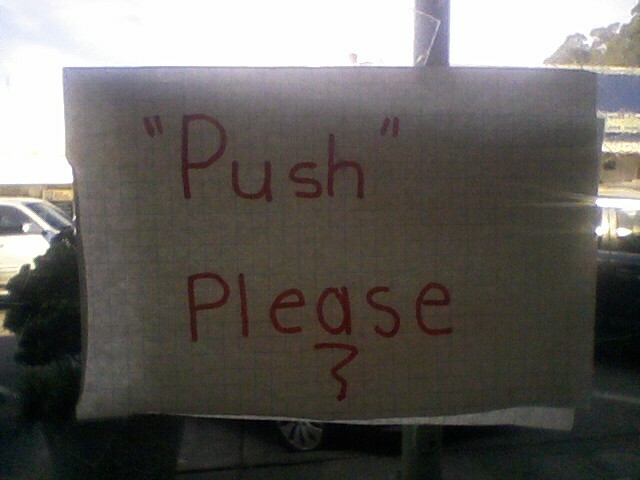 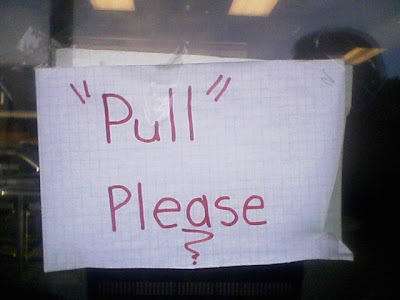 Is the "pull" on the 'push' side and vice versa? goodness!